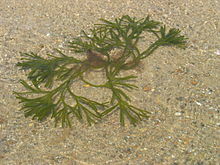 Seaweed is found in places all of the world on sea shores washed up from the ocean. It is also sold in grocery stores and is a delicacy in the Far East. So can rabbits eat seaweed at all?